Welcome to Deeside Motor Centre, Independent Specialist In Used Volvo Cars. We are a second hand car dealer based in Deeside. 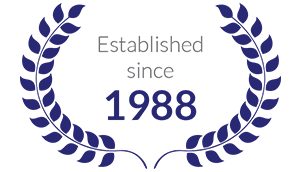 Established in 1988 by Chris & Pauline Manship employing 2 technicians' concentrating on general repairs, tuning and MOT'S. After trading for 12 months we decided to specialise in the service and repair of the Volvo brand. Later that year we employed a Volvo trained technician and a Volvo trained parts/service Manager bringing a wealth of knowledge and systems laying the routes for the next millennium. Over the next 19 years we have built up an impressive stock of quality used Volvo's. Also our workshop is now on-line to Volvo for our information and diagnostic needs. We have a good relationship with Volvo and they accept we have our place in the arena of selling and repairing Volvo's. Our prices are usually more favourable than the Volvo Dealers because being a medium sized family business we can keep a tight reign on our spending, although we always invest in our business with good technicians and latest equipment. Terry Manship is now starting to lead the way in the business with Chris standing on the side lines with his wealth of knowledge and experience. So Terry can now look forward in taking this business on for another 20 years. Very helpful and not pushy ,for a sale.Gave me time to ask questions on the car and very willing to answer. I found it very relaxing Would recommend this Dealer.